Joleen Spencer Oladeinde is a marketing and communications professional with over 30 years of experience in financial services, small business and community development. She has consulted on projects domestically and international, providing support and recommendations on marketing and branding; diversity and inclusion, and business strategy. Spencer Oladeinde is a skilled meeting facilitator and has guided foundations, nonprofits and start-up businesses in plan development and team effectiveness. Spencer Oladeinde previously served as Senior Vice President, Marketing atShoreBank, the country’s first community development and environment bank. Prior to that, she held marketing and lending positions with BMO Harris Bank and Citibank. She is a lifetime member of the National Black MBA Association® and has served as Chicago Chapter president, National Newsletter Editor, Secretary, and Vice President, Administration of the National Board. 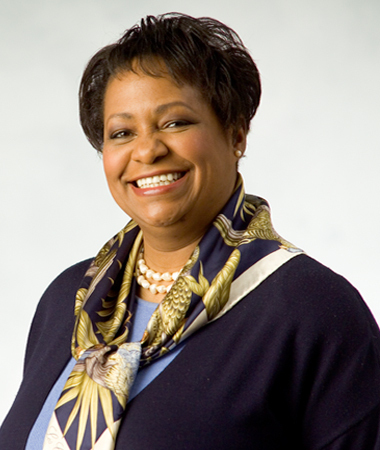 She has served on other nonprofit boards including the Kelley School of Business Alumni Board at Indiana University; the Boys and Girls Clubs of Chicago; New Choice Interventions, a mental health agency serving the African American community in Chicago; and Lakeside Community Development Corporation. Spencer Oladeinde graduated from Iowa State University, B.S. in Journalism and Mass Communications and holds an MBA degree from Kelley School of Business, Indiana University.